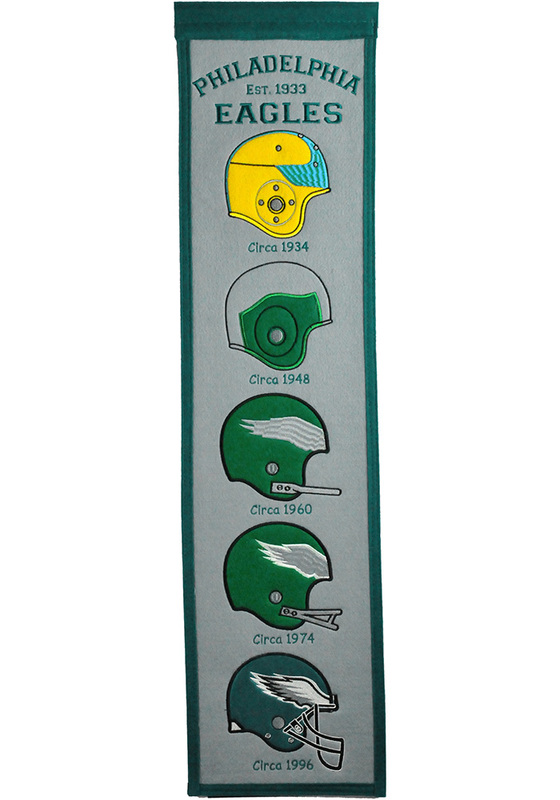 Hang this Philadelphia Eagles 8x32 Fan Favorite Banner to show off your Philadelphia Eagles spirit. This Banner features a spin on the classic heritage banner! This banner features a vertical list of team logos considered to be "fan favorites".